35 teams ultimately greeted the start lights for day one of the Century Batteries Brian Martin Memorial Wynarka Enduro, held in the Murraylands of South Australia with Western Australian Scott Schiller with Nathan Schultz in the navigators seat sitting at the top of the time sheets heading into the overnight break. After prologue and four laps of the 20km course today, Schiller pulled at 1m12second lead over second placed Car Haby with daughters Janelle and Caitlin sharing the navigating duties of the Geiser Bros Trophy Truck. 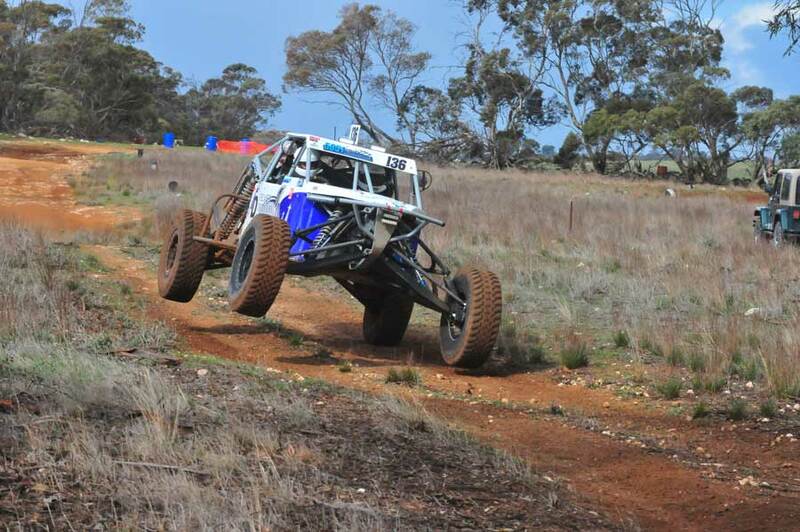 Another 1m10seconds back from Haby and the quick peddling South Australian young gun of Matt Curtis with Dad Gary in the recently repowered #136 GCR Rhini. 28 of the 35 teams completed the full four laps today. Kieren Kelly and David Sumak #28 were working their way through the field after failing to prologue and starting rear of field to be sitting in the top ten at the start of lap four; unfortunately a coming together with a slower car ended their charge and will have them working through the night if they are to fix and greet the starter come 10am Sunday morning. The #92 Chenowth Stadium machine of Simon Jensch failed to finish with front suspension dramas. 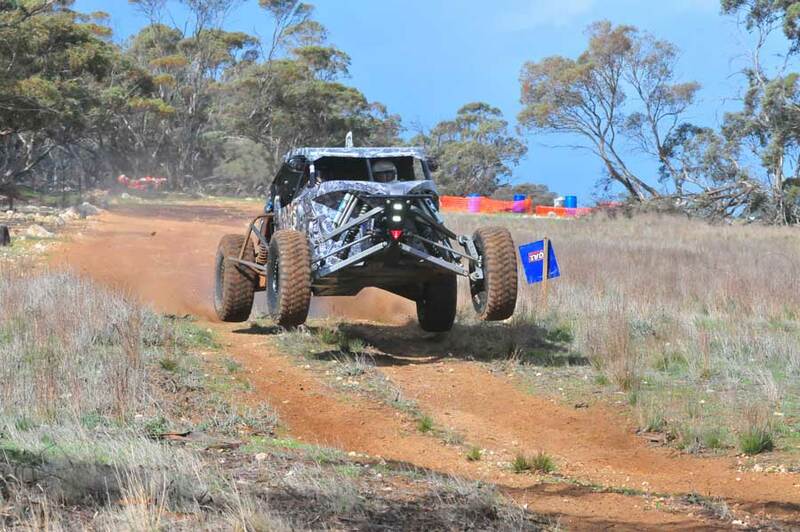 Trying hard to get to the finish line of their second lap, the #720 Nissan GQ Patrol of Peter Garnaut, and Paul Goddard struggled with fuel pick up issues, ultimately calling it a day in the pits after clocking in two laps. Mick and Toby Fraser were out early on with gearbox failure in the #166 Chenowth while #1055 Adrian Gardiner and Michael Falcione were in the pits with front suspension failure, fixed only to return with a deflated tyre. 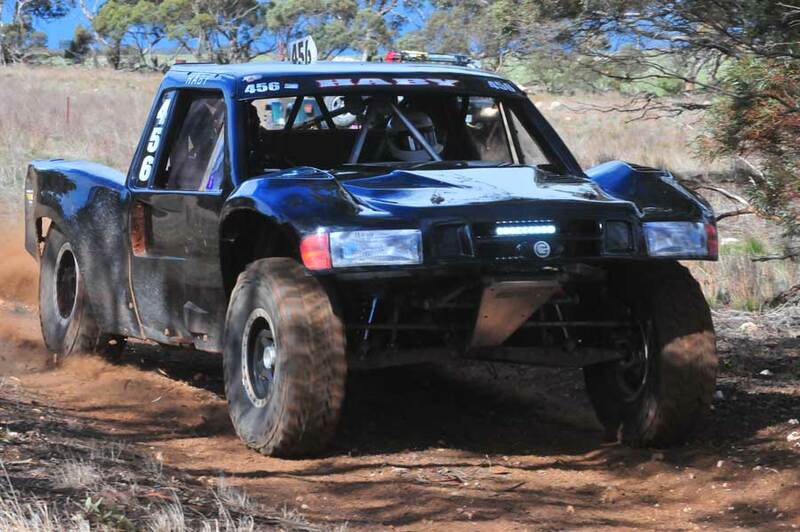 The #555 Ford F100 of Darren, Kimberley and Luke Hille suffered a transmission oil leak as they fronted to start the prologue, ending their Century Batteries Brian Martin Memorial Wynarka Enduro weekend. A wayward rock to the helmet visor saw young gun Evan Lampard, driver of #184, in the hands of the medical team. All going well and a good nights sleep Evan and Ben Philp should greet the start line for Sunday’s ten laps. Mother nature turned on four seasons today with rain, hail, sunshine and a chilling breeze. Racing gets underway at 10am Sunday morning when the remaining teams will aim to complete ten laps of the Wynarka course.